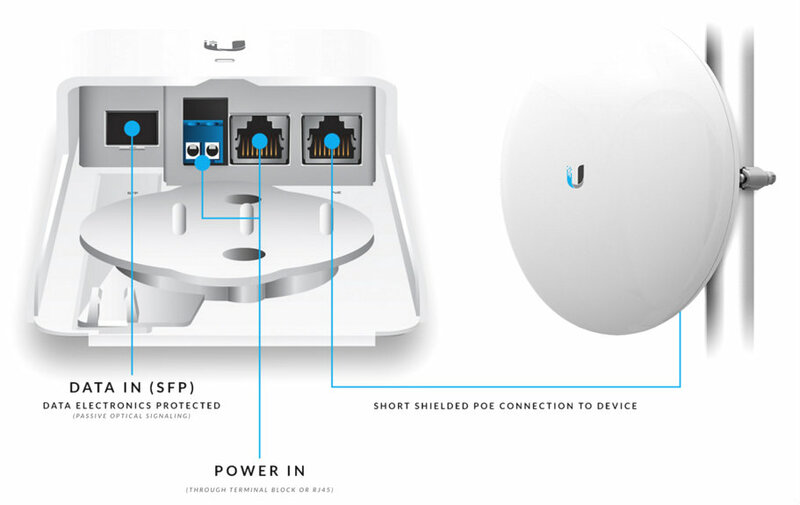 The Fiber PoE adapter from Ubiquiti provides efficient surge protection. The adapter transfers the Ethernet signal and power with the use of fibre optic and DC cables. It is equipped with an SFP port, a DC terminal block, a DC RJ-45 injection and 1000 Mbps Ethernet PoE. 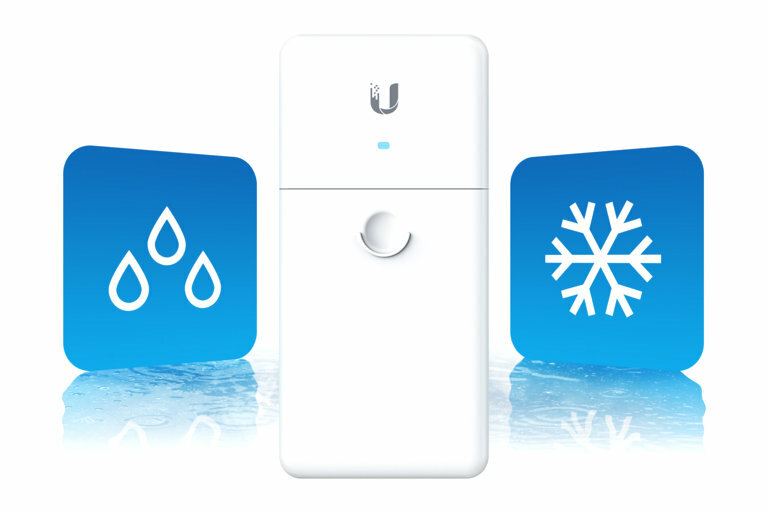 Its innovative solutions increase the reliability of the device regardless of the weather conditions. Its versatility means that it can be used in a variety of environments. In addition to its other features the F-PoE is distinguished by its favourable price. This is an ideal solution for indoor, short distance installations. It works as well for outdoor, long distance installations by reducing interference.